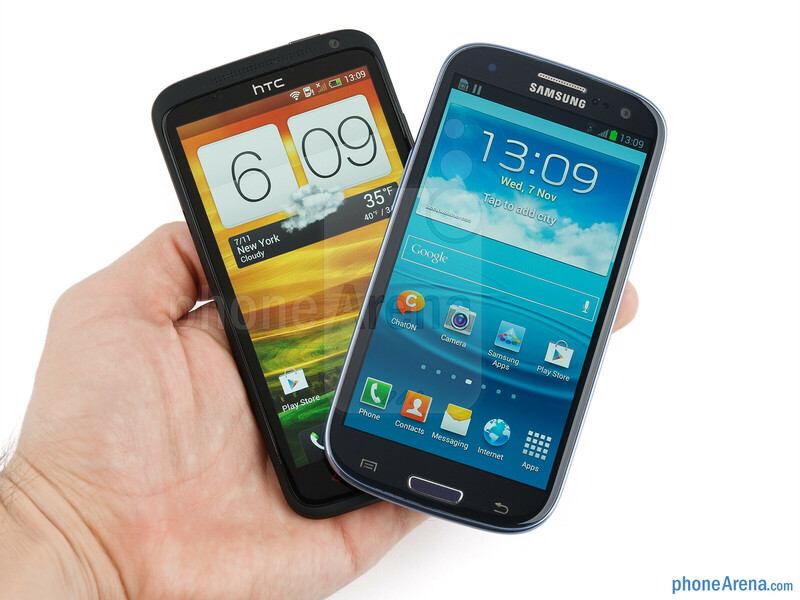 We have used the European versions of the handsets for this comparison. Some Android manufacturers, like Samsung, didn't touch their current high-end phones going into the holiday season, others like Sony or LG issued brand new devices in the fight, while HTC took a different approach, and upgraded its spring chicken HTC One X to the One X+ specs. It is the latest newcomer to the grand Android kerfuffle, so it is only natural that we intend to throw it in a bar brawl with the Samsung Galaxy S III, a phone that sold 30 million units so far. Both phones are thin and light, with curved designs and rounded edges, making them very ergonomic to hold, to the extent that 4.7”/4.8” screens allow. 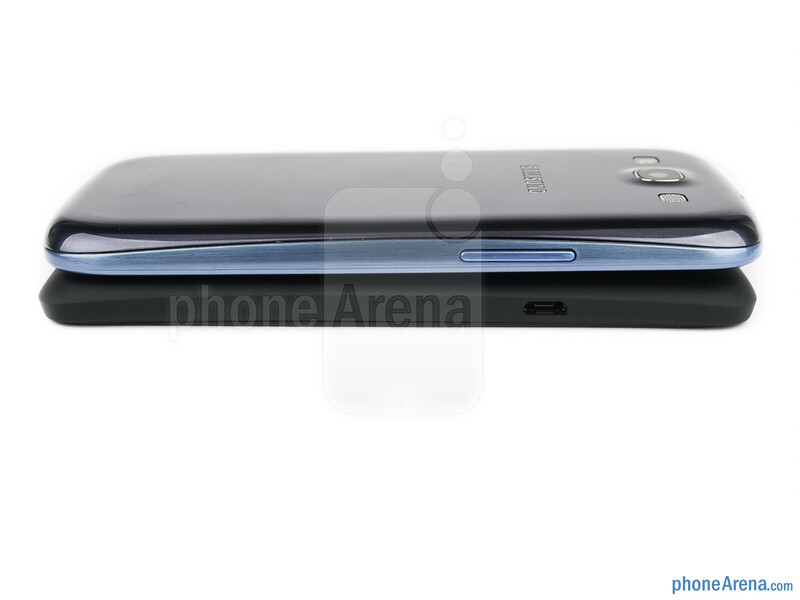 The Galaxy S III feels a tad thinner in the palm, but the One X+ provides for a firmer grip with its soft-touch finish on the back. The S III doesn't sport a unibody design, so you can pry off the paper thin back cover at any time, and swap the memory card or the battery. 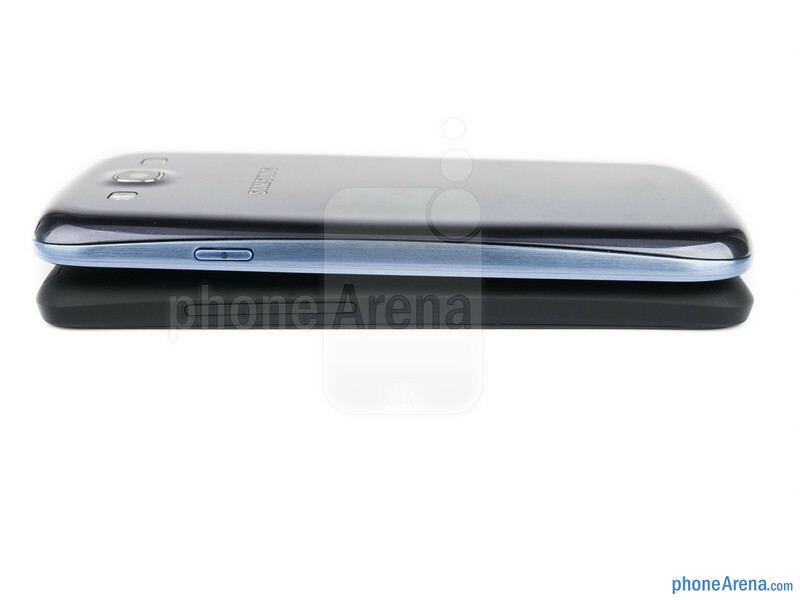 The One X+ is shut tight, but comes with four times the 16 GB storage capacity of a basic S III. 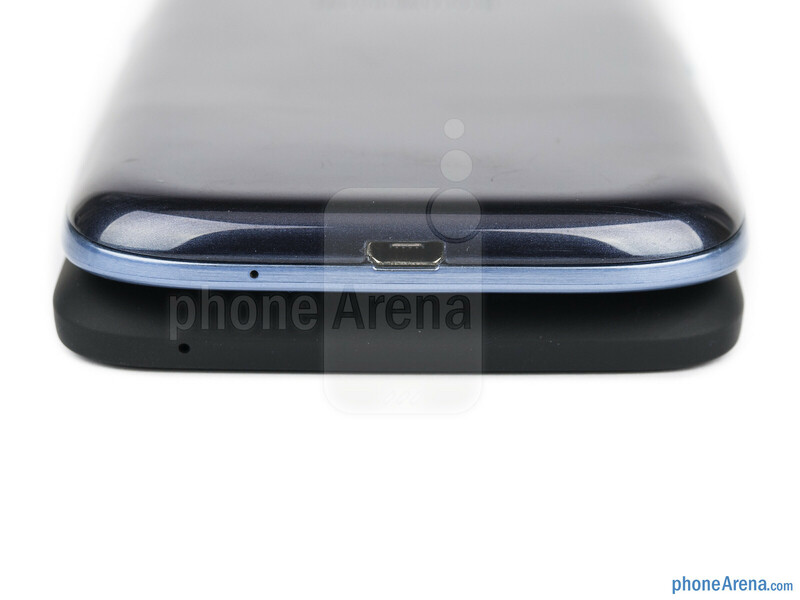 The Galaxy S III sports a physical home key on a pretty thin lower bezel, which is comfortable to operate, and preferable for some people before the capacitive key found on the One X+. Most side and front buttons, physical or not, are easy to feel and responsive on the phones, with the exception of the volume rocker on the One X+, which is too flush with the surface, and with too shallow of a feedback, so it takes getting used to. We have the so-called Infinity Display on the One X+, hinting at the seamless transition of its bezel to the sides of the unibody chassis – a very good 4.7” S-LCD 2 screen with 1280x720 resolution, and 312ppi pixel density. 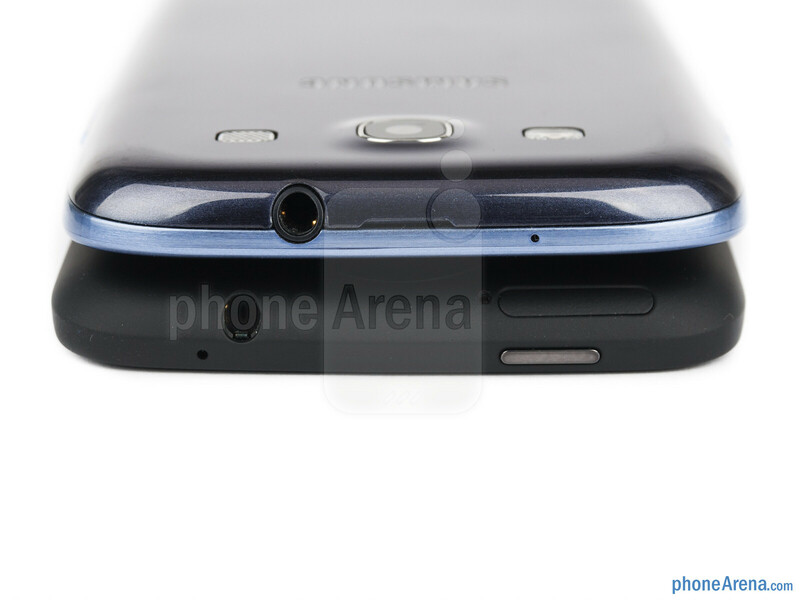 The S III sports the same resolution, but on a 4.8” HD Super AMOLED display with 306 ppi density. The screen experiences are pretty different, though, and we don't mean the RGB pixel matrix arrangement of the X+, versus the PenTile one in the S III, which could only be told if you examine solid colors like green and red very closely for the “screen door” looks. 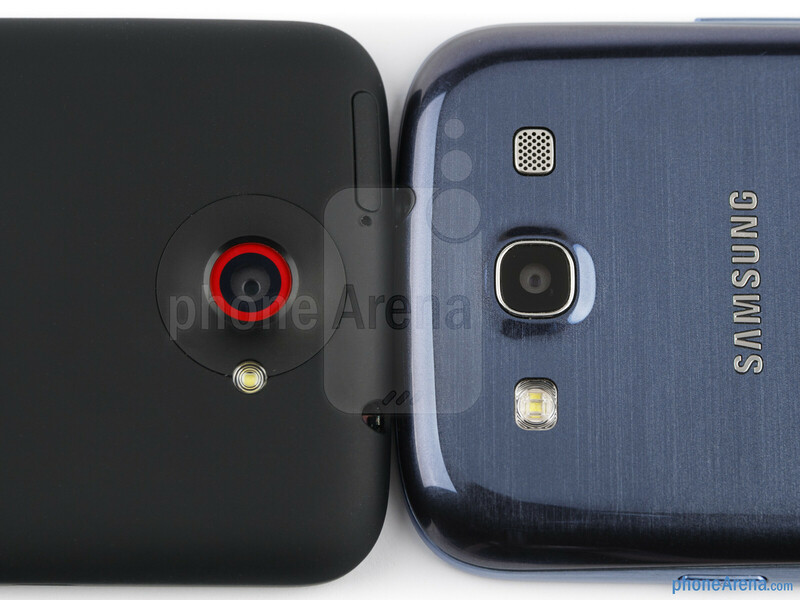 What we mean is that the LCD unit on the One X+ is much brighter than the AMOLED panel on the S III. Granted, Samsung has achieved very low reflectance ratio for its display, but the visibility outside still goes to the One X+, as it has pretty low reflection as well, but is much more radiant. Indoors the Galaxy S III display exhibits some typical for AMOLED flaws, like cold, oversaturated colors. The Galaxy S III covers much wider color gamut than the NTSC standard, and it makes for gaudy colors in comparison with the One X+. Its calibration is all over the place, too, often exhibiting various color overcasts. If those don't bother you, however (and the vivid, eye-popping colors appeal to many), you'd appreciate the deeper blacks of the AMOLED display, in comparison with the One X+. Not for me. HTC all the way. 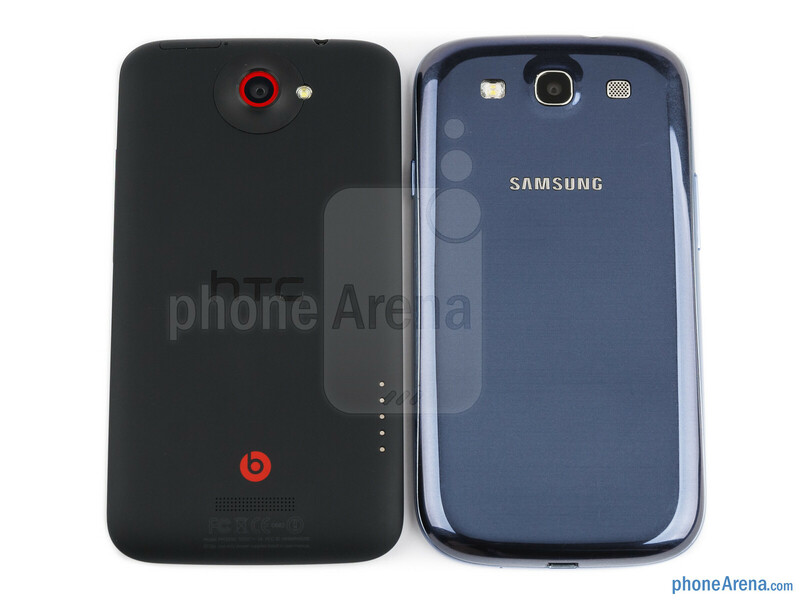 Imagine a phone Build and Designed from Htc but with all the good features (like removable battery, sdcard slot) present on the Samsung! And then I expressed mine. Which wasn't even against yours. Just more decisive. I like the word mate but I feel weird using it. Cool cool cool. htc just build quality and design, Sammy everything else ! 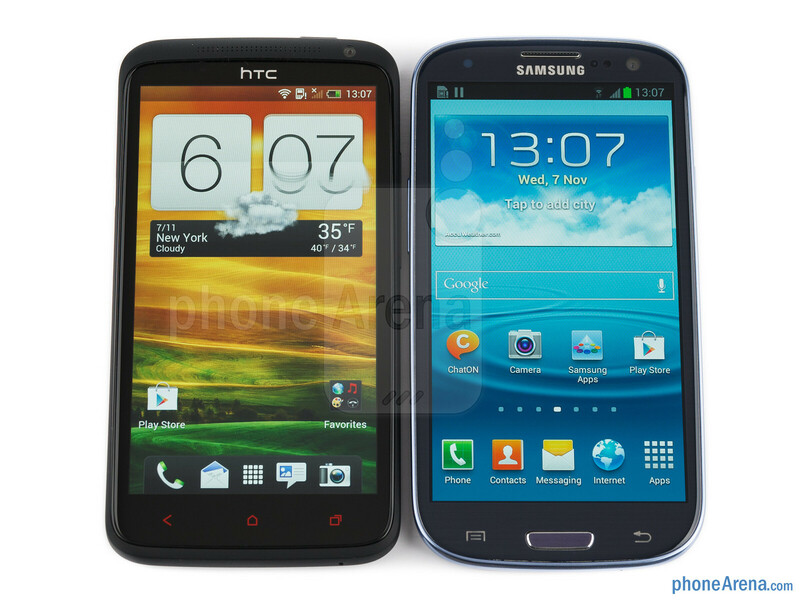 I would choose HTC One X+ over Samsung Galaxy S III. The ultimate battle... Who will win? Not if you like multitasking that actually works correctly, it's not. I find myself lost with SIII, matter of preference. one x+ is no slouch either. Yup, it's a hard decision! But between these two, i'd choose the HOX+, no hard feelings Sammy, you're cool too. I really like the red accent HTC has given the X+...it stands out...moreover, the display is looking great. Htc is Win no doubt..its very powerfull & good job in linkpack ..plus that Sense 4+ is unique.. dear gsm plz review between one x+ vs optimus g & one x + vs iphone 5..thanks a lot. PA, seriously you are losing credibility big time. The only area where the SIII has an advantage is arguably the camera and yet PA can't jump off the fence! The HOX+ wins this duel hands down! Not forgetting the build quality which is not even a contest given the cheap feel of the SIII and phantom cracking issues. You just said 18 minutes earlier what i wanted to say,seriously it's ridiculous when everything(be it screen,build quality,UI,benchmark scores) other than camera(though i don't agree what they said about One X+'s camera as i prefer saturated colors compared to the muted ones on Galaxy S3,not to mention Galaxy S3 loves to over expose everything in bright light which to me is a biggest fault but as expected Phonearena Didn't point out)is better in HTC One X+ compared to Galaxy S3,they insist on saying they are on par. Seriously Phonearena as Tmach said you need to be fair when doing reviews and comparisons(instead of being biased)other wise you will lose your credibility(people will go no to call this site Samsungarena or Iphonearena rather than Phonearena)and in return you will lose a lot of readers!!! You are very correct about that they kept saying on par where as the other one is ahead. 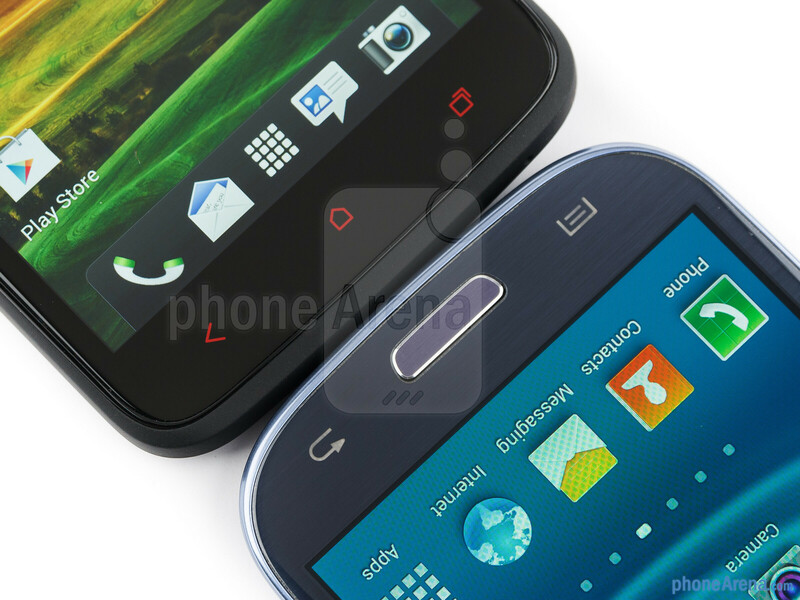 The one x is not on par with galaxy s3 it is better. The multitasking in the new HTC phones is complete crap. I don't care what anyone says. I had two different HTC one X's and they both sucked. You can see it right there in the video when the browser tabs refresh EVERY time he switches between them. Who in their right mind would choose that over multitasking that works correctly? That's a serious deal-breaker for me. I don't care how good the rest of the phone is. As long as Multitasking is crippled like that, this phone is useless and HTC's poor sales would seem to agree with me. But PA reviewers won't ever admit it. They're going to ride Sammy's meat all the way to the bank. I agree with you. Galaxy s3 is a lovely phone. You're a little kid. Benchmarks don't mean anything, just marketing bs. My friend has a Gs3, and my HOX+ is faster than his. And 64 GB of storage is far more than enough. Considering you also have Dropbox storage, and storage cards cost money. 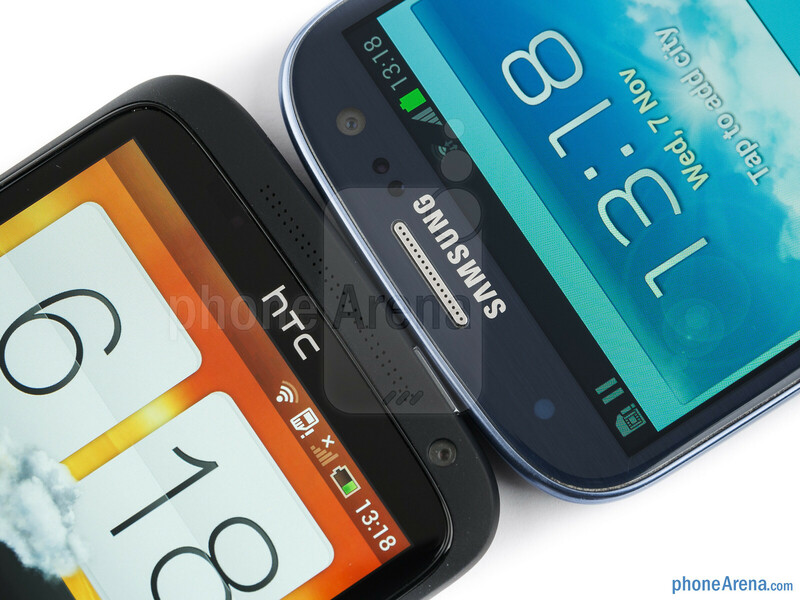 And Sense 4+ is more fluid than Touchwiz, Touchwiz is unorganized and clustered. And storage is not memory. Like I said, you must be a little kid. And at the end, you even said yourself HTC wrong, you just pointed out things that Samsung had better in your opinion, yet you say HTC won. considering that this is actually a tough call for me shows that HTC definitely deserves some kudos here but tbh i wouldn't get either of these handsets with phones like the Nexus 4, the Optimus G and the Droid DNA on the way. the only phones i think are purchase considerable now with anything less than an S4 Pro is the Droid Razr MAXX HD, the Galaxy Note II and of course the WP8 devices. why do you have to buy in the next 15 days? Coz my Sensation is not working like it should anymore,it often turns off while i am on a call or doing something,and the battery often dies every 2 hours!!! then sell it and pay cash for something cheap but works fine to use while you wait for something like the Optimus G.